On the fourth day, I headed out of Pyongyang, westward into the country. There's one wide, paved road that leads west out of Pyongyang, into freshly-planted farmland. Although the road was paved the entire time west and south to the DMZ area, the road was in dire need of a refurbishment - this picture of the pavement was fairly typical for almost the entire drive to the DMZ. On the fourth day, I headed out of Pyongyang, westward into the country. 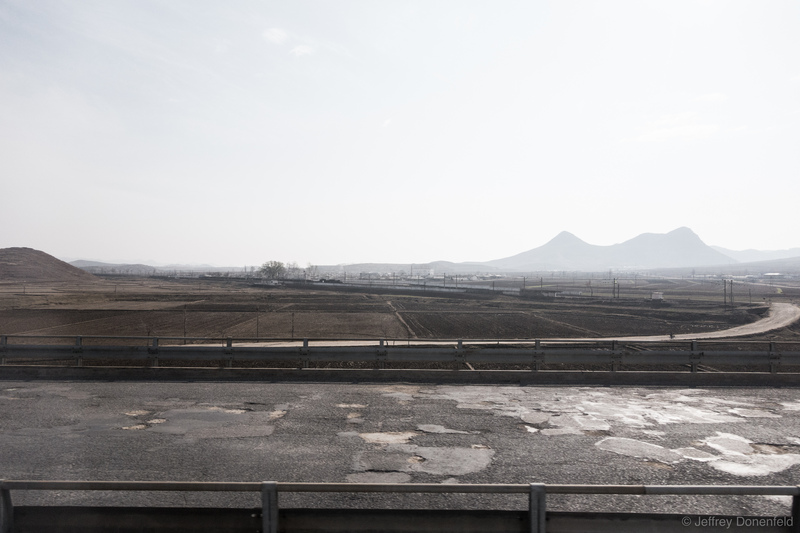 There’s one wide, paved road that leads west out of Pyongyang, into freshly-planted farmland. Although the road was paved the entire time west and south to the DMZ area, the road was in dire need of a refurbishment – this picture of the pavement was fairly typical for almost the entire drive to the DMZ.